An Act to provide for the Establishment, Maintenance and Administration of the Ocean University of Sri Lanka. 22. KALPAWRUKSHA DEVELOPMENT FOUNDATION (INCORPORATION)ACT, NO. 42 OF 2014. An Act to amend the National Enterprise Development Authority Act, No. 17 of 2006. 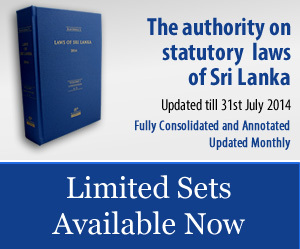 An Act to amend the Institute of Fundamental Studies, Sri Lanka Act, No. 55 of 1981. Long title,Sections 3,6,7,11,44 of the Act are amended.